Jim has been kind and has sent me a piece about one of the players (and at present going he might need to pull on a jersey) still flitting round the edges of the Rangers Debacle. I have added some information at the end, with some extra comment too. I now leave the floor to Jim. Take it away! There are so many strands to the RFC debacle that some are forgotten/neglected when a new one is opened. Just a thought on an old one. 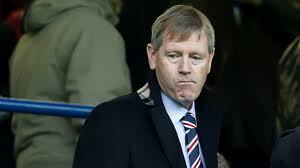 Mr Dave King is a very interesting business person. His ongoing dispute with the South African Revenue Service (SARS) has been going on for many years with no sign of resolution. SARS’ claims are quite revealing. Now R200m is not unsubstantial if the above quote is correct. In current UK terms, it is equivalent to £15.75m. I am also unsure from the article if this is the tax only, or the net sum on which tax was calculated. I believe tax in SA is around 40%. If the figure quoted was just tax, then the gross income was circa R320m (£25M). Mr King was appointed a director of Rangers Football Club PLC (now in administration) in March 2000 (Wikipedia). If the above article dates are correct, and the assessment figures given are from that time period, then it would appear that he was receiving a considerable sum from Rangers Football Club PLC (now in administration) in a very short time period. There is no implied suggestion of any wrongdoing here. I have no doubts that all income, from wherever it came, was earned legally. The peculiarity is that a director should earn so much, when the business was not doing particularly well, allegedly paying large sums to players via questionable EBT tax avoidance schemes, presumably because they could not afford full up front wages. We know that at least one Rangers Football Club PLC (now in administration) senior executive (C. Ogilvie) received EBT discretionary payments. It would be interesting to hear the answer if Mr King were asked a similar question, purely in the interests of clarity of course. By way of background, I have included some further extracts below from the article Jim refers to, and after my brief comments on that, an extract from a South African newspaper report last year, with my comments at the end too. King’s argument on his tax assessment stems from the recent case brought by SARS in the Pretoria High Court aimed at “piercing the corporate veil” to ascertain who owns certain assets in SA, most of which, like a large Sandhurst house, were being used by King. SARS planned to seize the local assets to settle the tax debt of King and Ben Nevis, a Guernsey-based investment entity that is alleged to owe R1,4bn in taxes for the sale of Specialised Outsourcing shares. SARS … accepted an argument by King, representatives of Ben Nevis and offshore holding company Metlika Trading, that the assets, as of December 2000, were no longer owned by King. SARS believes that as the net closed on Ben Nevis, its South African assets, worth about R500m, were transferred to King’s Glencoe Trust and then to Metlika, severing links with Ben Nevis and making it difficult for the taxman to get his hands on the funds. What SARS is questioning, according to Hay, is “whether the transfer from Ben Nevis to Metlika was an improper transaction in the sense of constituting a fraud on SARS as the creditor or future creditor”. Any fraudulent transaction could be declared null and void, making it possible for the taxman to collect on its taxes from Ben Nevis. King holds that he cannot be taxed on assets he does not own and it is on these grounds that he will take the case to the Income Tax Court. 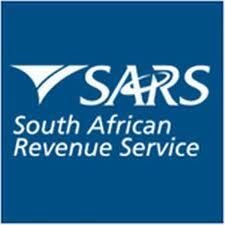 But SARS contends he can be taxed if he obtains benefits from those assets. King’s tax assessment is made up, among other things, of a R4,8m tax bill on his Sandhurst house, R101,44m on a Falcon 900, R188,47m on a Talacar shareholders loan account, R2,1m on a Ferrari, R17,24m for living expenses and — his largest single tax claim — R200m income from Rangers Football Club, as well as R281,28m in penalties and R20m in taxes on income from the Amazulu Football Club, which King insists he bought for R1 in return for paying outstanding salaries and financial obligations for the club. Note that last line – Mr King bought a football club for one Rand. He stated he had done so in return for paying debts owed by the club…I wonder who else bought a football club for one pound? Mr King has his issues with SARS. As was reported last year, Mr King did not impress the judge dealing with his case. A tax court judgment has slammed the conduct of businessman and alleged tax dodger Dave King, describing the newly appointed executive chairman of listed investment holding company MicroMega Holdings as “a glib and shameless liar”. Southwood said the court had seen King testify for four days and “are unanimous in finding that he is a mendacious witness whose evidence should not be accepted on any issue unless it is support by documents and other objective evidence”. The High Court in Pretoria heard in 2002 that King’s income tax returns for the years 1990 to 2001 reflected a modest annual income of R60 000 and King had then asked to be deregistered as a taxpayer. Sars launched an investigation into King’s affairs in May 2000 when it became aware that he had bought an Irma Stern painting for R1.76m and could not reconcile this purchase with his declared gross income of R60 000. King resigned from MicroMega eight years ago because of his legal battle with Sars and his wish to distance MicroMega from his difficulties with Sars, but returned as executive chairman last month. MicroMega’s share price more than doubled during the week in which his appointment was announced. He said the decision to accept the position of executive chairman, despite the lack of finalisation of his legal battle, was motivated by a settlement agreement he claimed was reached between himself, Sars, and the Reserve Bank in late 2009. Do you recall the SFA and SPL fit and proper person tests? For twelve years Mr King remained a Director of Rangers Football Club PLC. 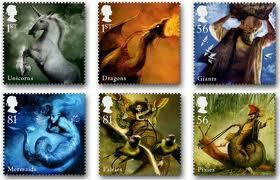 Every year a return was filled in by the company confirming that its office holders were fit and proper. Clearly the football authorities conducted in-depth investigations to satisfy them that that was correct. A few months ago I interviewed a Scottish Bishop for an article I was writing. On the subject of principles he told me that people often put forward the argument that equality is the most important principle our society is guided by. He disagreed; TRUTH is the most important because without truth we have nothing to rely on. The ongoing catastrophy that is the Rangers situation and, I would say, our current government’s attitude to ordinary people(i.e. not millionaires) illustrates his point. Dear Joseph, my comment might reasonably be regarded as a complete aside and have much more to do with my secularism, nevertheless, whereas I wholeheartedly agree with the general point viz; the importance of truth, I do not necessarily consider the invoking of Clerical support does anything to enhance such a belief. Perhaps even more so in this particular universe of discourse. weir pumps was promoted put out to SA, then he decided he could do better on his own wi some dodgy deals..
King made his money by conning every single one of his friends to invest in his company..He sold all his shares when they reached their peak and the company finished up bankrupt. He financially and mentally ruined a lot of people. No one I repeat no one will do business with him in South Africa.Even his brother said that Dave could say one thing to you and half an hour later look you straight in eyes and deny it. African justice is slow but Kings day is coming. I have a certain amount of sympathy with the football authorities’ argument that they cannot run comprehensive investigations into the background of every individual who wishes to participate in the business of running a football club. The resources required for such an undertaking would be enormous. But if ever there was a case for making an exception, I would suggest that the colourful past and present of the second biggest shareholder in what was at the time Scotland’s biggest football club would have merited some further scrutiny. The real villains of the piece here are the Scottish media who gave King a free pass. There is enough material from the global newswires already in the public domain which could justifiably have been continuously republished here in the public interest every time Rangers signed a new player, mentioned a transfer target or announced a new contract for existing players. There was a wilful ignoring of the very significant travails which Mr King has continuously suffered at the hands of the South African tax people and with other authorities which have probed his finances. The point you make about the SFA failing to properly act on the fit and proper person section of this never ending disaster is undoubted. Among the obligations placed on the clubs is the requirement to provide various documents to the SFA as the regulatory body and licensing body on an annual basis. These documents include accounts, contracts for key personnel, the annual return with the fit and proper person declaration, health and safety docs, stadium docs, training docs, yout policy docs and so on. It is no small measure of paperwork, and no small undertaking that could be completed on an A4 sheet or a couple of such sheets. These requirements are, as I understand it, imposed by UEFA and so in accepting the documents, The SFA is acting as UEFA’s agents. The regulations then state that if all of the documents cannot be delivered to the SFA, then the club has to notify the SFA and say where they are kept and to confirm that they will be available for AUDIT!!!! And therein lied the problem, because it is clear that the very use of the word AUDIT means that simple self certification is not what is on offer here in these rules. Second- The SFA are responsible for an AUDIT to be carried out checking that the regulations and the delivery of the contracts ( all in standard form of course ) has been complied with. I keep asking the question who carried out these Audits over the years for the SFA, when did they take place, what did the Auditor report and who to? Is it really possible that the SFA allowed such a precious asset as Rangers to run up massive debts as dedclared on their statutory accounts, conduct a protracted and unlawful tax avoidance scheme for a decade at least, have a sequence of unlawful dual contracts in terms of football regulation, and as you point out have amongst their Directors at least one person who has long been accused of evading tax and defrauding a tax body and who has been declared a mendacious liar in a court of law…………. and never once did their so called AUDIT make reference to any of this? Any professional who was asked to conduct such an Audit, and who was given access to the so called dual contracts, the accounts, the board memo’s asking for the players to be remunerated by the EBT, the information on King provided by Rangers on the propriety of King ( with a view to having it checked out as you would do with all Directors ad key employees who present qualifications etc ) would surely have some comments to make and some awkward questions to ask! So– was the Auditor incompetent? Did the Auditor make such a report but the SFA failed to act on it? Or was there just no Audit at all? And lastly– how come not a single member of the MSM has ever asked about the Audit policies and procedures of the SFA and how that body failed to notice all of what has come to light in the last couple of years despite the Audit policy being in place?